E3 wasn’t about just the digital side of gaming. Sometimes, people like to commemorate our favorite pastime with something a little more physical and concrete. 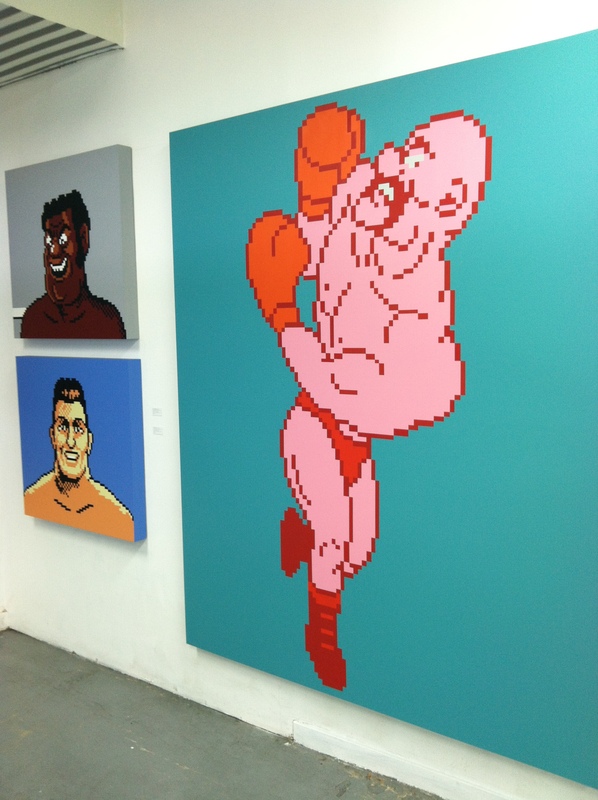 And Vancouver native Michael Edward Miller is attempting to put his spin on the “Are video games art?” discussion by putting his time and energy where his mouth is. You walk inside are are immediately awestruck by the enormity of the things decorating the walls. 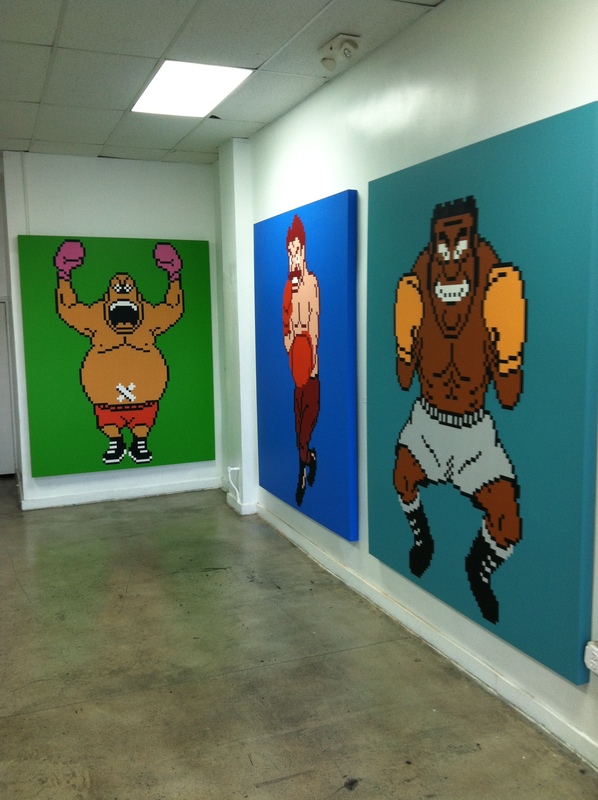 Standing at 7’5″ tall and 6′ wide, the giant pixel art canvases are meant to strike you with their scale as much as Little Mac must have been the first time he stepped into the ring against Mr. Sandman. Soda Popinski. Mike Tyson. 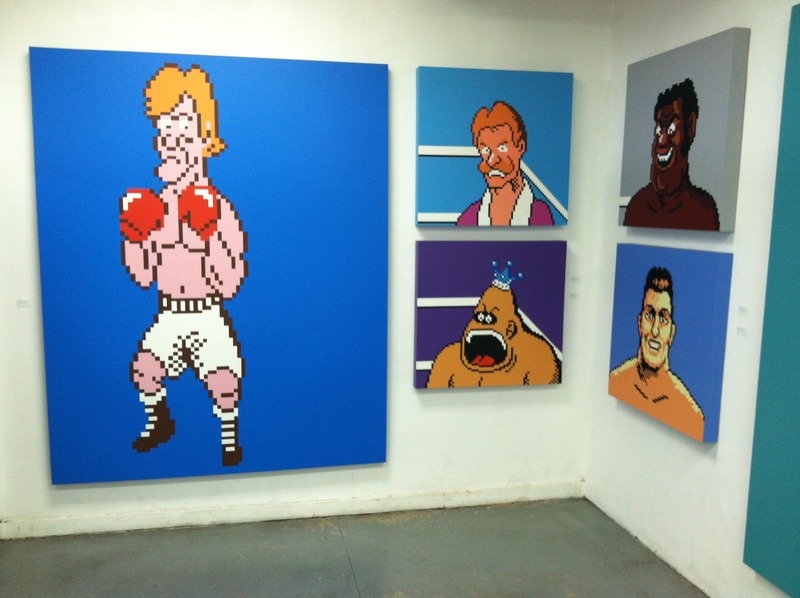 Every character from the game is represented, including Mr. Dream and Mike Tyson facing each other on opposite walls of the entryway (“I’d never hear the end of it if I didn’t include them both!”). The in-game character portraits are here, too, at a modest 34.5″ x 36″, with Little Mac himself gazing out the window, inviting you to come inside with that childlike enthusiasm that hides the fact that he could knock your block off. Each piece was done over countless hours with a mixture of technology, handmade stencils, and gallons upon gallons of spray paint. My favorite part by far was really getting up close and seeing the different textures of the black paint, the sharp corners, the pixel-by-pixel matching delivering me right back to my childhood… It’s weird how nostalgic Generation Y has already become. Most of us aren’t even 30 yet. 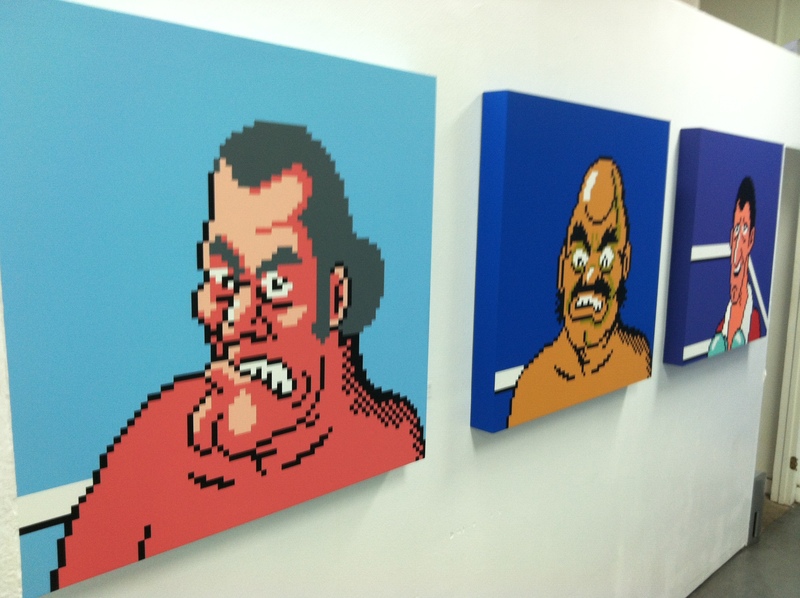 Enjoy a couple shots from the show, and you can check out his site if you want to commission him to draw you some Cheep Cheeps or something like that.